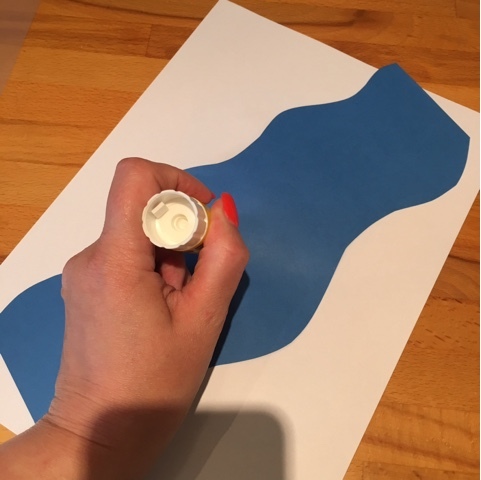 This week we had a great guest post from Clare's Little Tots who showed her jungle playdough, I knew T would enjoy that for a little imaganitive play so I decided this would be one of his activities this week. I really wanted something to make a watering hole and so I came up with this little project. 1. 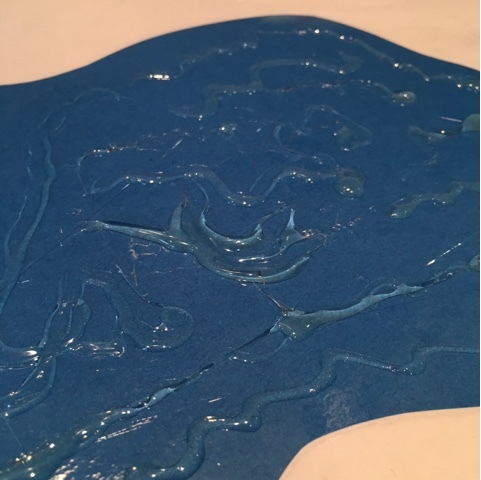 I started off by cutting a pond shape from blue paper, I also cut a river so that I could have one on each side. 2. 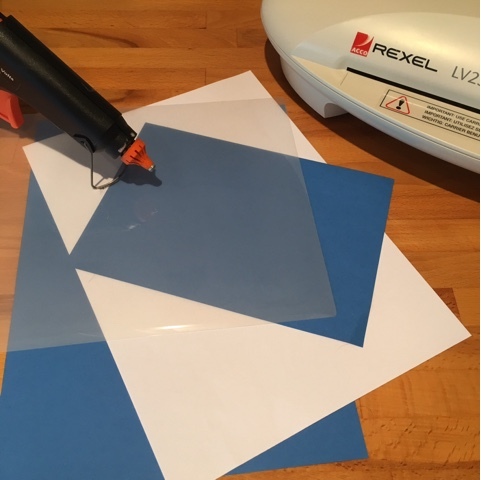 I glued these onto the backing card using a glue stick. 3. 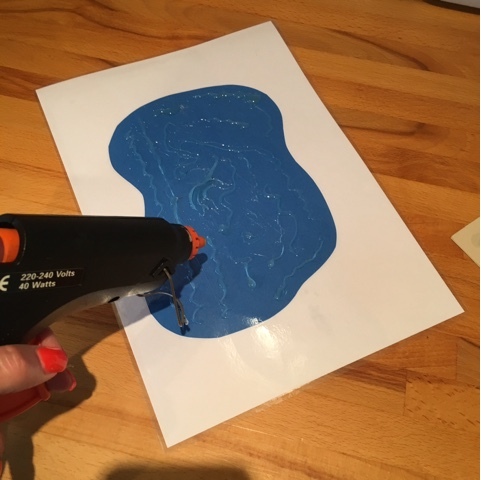 After I'd run it through the laminator I created 'waves' using the glue gun. Ok so it doesn't look perfect, but it it quite effective when the playdough is on. 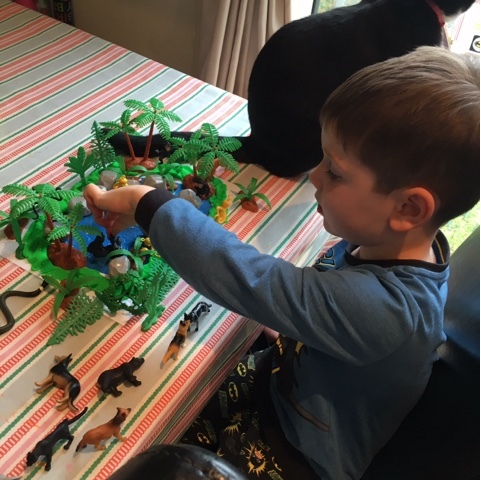 I raided T's dinosaur box for most of the trees and rocks and we added some animals from our Zoob tube collection. 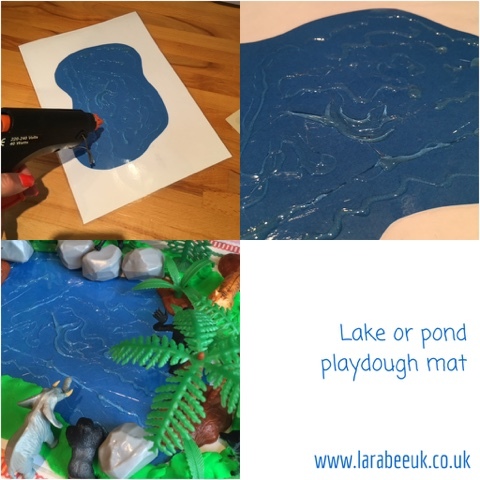 T had lots of fun with this playdough mat and I think we'll be able to use it with many small world set-ups or playdough invitations. 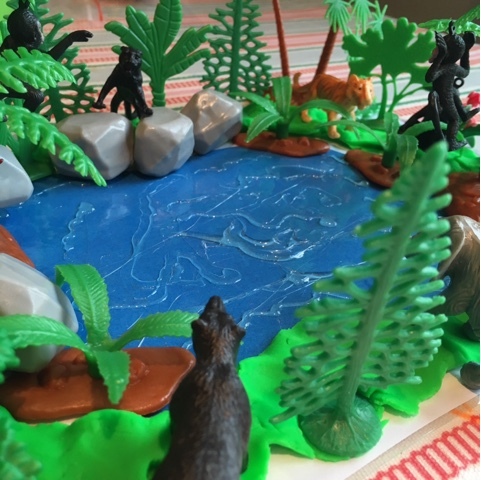 All our jungle related activities can be found here and our jungle pinterest board has lots of other ideas from around the web!